Have you ever stumbled across a blank page in a Microsoft Word document, but you’ve no idea why it’s there? A few different things could be causing it. You need to establish the origin of the problem before you can apply the remedy. If you’re getting blank pages when you print a document but you don’t see any on-screen, your printer settings How to Set Up Your Printer in Windows 10 How to Set Up Your Printer in Windows 10 Printers have a reputation for being difficult to set up. In Windows 10, however, it's actually a breeze. We'll show you how you can get Windows 10 to detect and connect to your printer. Read More are probably to blame. Covering every printer is beyond the scope of this article, but you should head to your printer’s Preferences page and look for the separator page option. To see if an erroneous empty paragraph is causing the issue, you need to press Ctrl + Shift + 8 to turn on paragraph marks (a little-known Microsoft Office feature 10 Little-Known Microsoft Office Features You Should Know 10 Little-Known Microsoft Office Features You Should Know Sometimes the littlest of things make the biggest of differences. 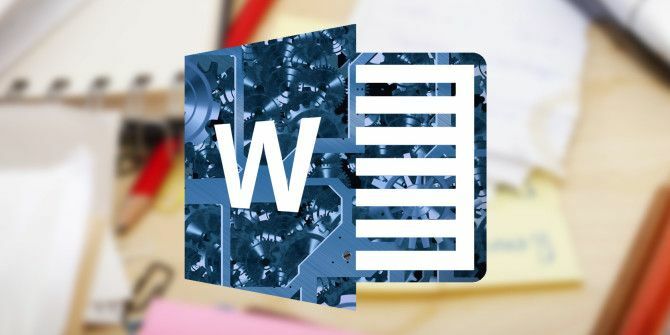 We uncover overlooked Microsoft Office features and show you how they could improve your workflow. Read More ). Scroll through the document and look for the ¶ icon. To remove any unnecessary ones, highlight the icon using your mouse and press Delete. Accidental manual page breaks are typically the cause of empty pages in the middle of a document. To get rid of it, put the cursor at the start of the page break line and press Delete. Section breaks are used when you want to divide and format one document in different ways. They are sub-divided into Next Page, Odd Page, and Even Page section breaks. To remove it, place the cursor before the break and press Delete. Warning: Removing section breaks can ruin your document’s formatting. To remove the blank page but keep the different formatting styles, use a continuous break instead. Did You Delete Your Page? Did these four tips work for you? Let us know how you delete your problematic blank page in the comments below. Explore more about: Microsoft Word, Troubleshooting. I'm still having trouble, can you help me?